Did you know that there is a dating web site that is only for people who are married and looking for affairs? One of my clients suspected her husband was cheating, so she went on the site herself to see if he had a profile listed. Who knew something like that even existed? I had another client, Lily, who tapped her husband’s phone when she suspected he might be cheating. Lily had been married to her husband for nearly twenty years and throughout those years she had her suspicions. Family and friends tried to warn her periodically over their 20+ year marriage. After her 16 year old son found compromising pictures of several women in his Dad’s iPad, she told her son that “Dad’s just curious, that’s all.” But she knew in her heart, that wasn’t the full truth. She would question her husband, but of course he would deny it. And after all, she didn’t really have any proof that he was cheating, so, there was no decision to make. After seeing a text message from a woman pop-up on his phone that said “I miss you,” she decided to it was time to get proof. She downloaded an app to her husband’s phone that recorded every text message, phone call and email and sent her a summary. If she sent her husband a text, it would turn on the phone’s microphone and she would receive a transcript of what was said. So, now she had proof that her husband was cheating. And clearly, she had suspected it. Clearly her gut told her that something wasn’t right. But there’s really nothing you can do to prepare yourself for the damage something like that does to your heart. Now that she knew her husband was cheating, there was a decision to make. And Lily ultimately filed for divorce. We don’t like the answer so we turn our eyes away from it. We don’t want to turn our lives upside down, so we suppress that inner knowing. We want to trust our partner, so we believe their stories. Of course, we never want to impact our children. But deep down, somewhere in our souls, we know when something isn’t right. So, why do we need a web site, an app, a microphone and daily summaries? Why do we need proof of cheating when we have an inner compass that tells us everything we need to know at any given time? 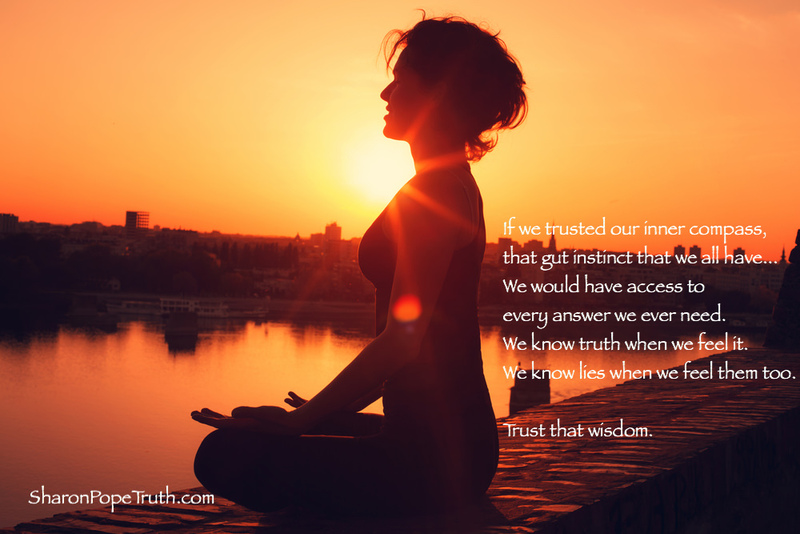 Our instincts know so much more than our minds. Our inner compass is always guiding us in the right direction. Always. It has no reason or ability to lie to us the way our minds do. Our bodies are constantly speaking to us in simple phrases: yes and no, stop or go. But for some reason, we don’t fully trust that guidance. We would have access to every answer we ever need. 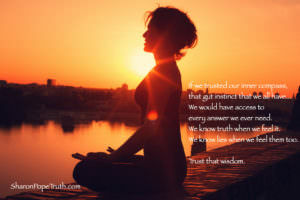 We know truth when we feel it. We know lies when we feel them too. This is so right on! We always know! This is a very timely post (not because someone’s cheating on me) because I just today realised I need to pay SO much more to my intuition. A lifetime of sidelining it has made the volume weak. Thanks for the reminder to turn up the volume and LISTEN to that voice of wisdom inside.